A “MobiCoin” is a new digital asset developed by MobiCard Inc. The Company has capped MobiCoin’s total supply at 100,000,000 coins. MobiCoin has commenced trading on the (DEX), a decentralized exchange that is a marketplace for cryptocurrencies and blockchain investments that is totally open sourced. At the moment, its is trading $0.13/coin and can be tracked here https://www.xchain.io/asset/MOBICOIN. When you do the math, this gives PTOP an asset of $13 million. MobiCard Inc. plans to reserve 50,000,000 MobiCoins for individual paying subscribers in which users are incentivized and rewarded with a MobiCoin every time their MobiCard is shared and viewed by a unique mobile number. Users are then able to share their MobiCard to their existing contacts and future connections by text message, email, digitally and on various social media platforms thereby enabling paying members to quickly begin earning hundreds if not thousands of MobiCoins. The company has high hopes for cryptocurrency hungry individuals out there. Their incentive program, in which they are allotting 50,000,000 million coins for, will have reached 50,000,000 potential new subscribers all while capturing invaluable lead data to further advance its marketing efforts to drive subscriptions and profits. The Company believes that a conservative projection of new subscriptions at a ratio of .004 (1 of every 250 reached) which equates to 200,000 new MobiCard subscribers. Based on these calculations and monthly subscription rate of $7.99 per month, could thereby generate approximately $19 Mil in annual revenues. The Company is also strategizing how to best allot its remaining supply of 50,000,000 MobiCoins that may include and is not limited to building a use case, awarding MobiCoins to enterprise business accounts for their acceptance of MobiCoin for payment of goods and services. The enterprise option for MobiCard will offer “Company Directory” which is a cool feature, especially for a real estate company. With it, all of your associates MobiCards are housed within it, allowing for a one stop shop for your entire company. The directory can be easily setup to show agents by their regions, offices or however you may prefer them to be listed. The Company will also seek Public Relations and marketing companies that will accept MobiCoins for services. C2A MobiCard® is a cloud-based mobile business card that allows you to share not only contact information, but social media and multimedia content like no traditional paper business card ever could. Share all of your personal and social media information instantly. Create custom links to external websites. 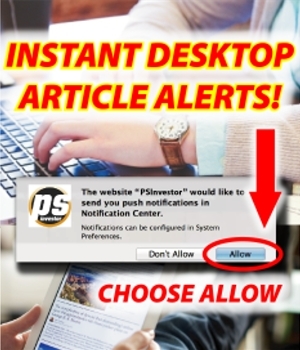 Know who and when someone is interested in your product or service, with instant alerts. Know who and when someone refers your card. Personalized audio message that can be updated from your card, instantly. MobiCard® can be saved as a homescreen icon, or to your contacts as a VCF. Not looking to rain on any long shareholder’s parade, but investors looking at the company for the first time should use some caution when investing in any company that has run up 1000% in 1 day. One must beware of inevitable profit taking and look for dips. Another thing that also is scary is the STOP sign on OTCMarkets. The company is currently dark and defunct… and if they keep putting out press without doing filings, they risk getting the dreaded “CE” aka Skull and Crossbones. Updated info would be nice, as investors are in the dark. The last Authorized share count was 750 million as of 2/2012 and and 225 million O/S in 12/2015. Based on all that, OTCMarkets has a market cap just under $2 million…which if correct seems quite low based on the potential of $19 million in annual revenues (which they have to now earn) but are sitting on $13 million in MobiCoins ready to trade off to users who will in turn create those revenues. Last, while researching the company, I found them to have to have 3 websites going on. OTCMarkets Company Profile tab leads you to contact info, their website freemobicard.com is listed but directs you to cardsmobi.com, which offers little to no info. If you type in freemobicard.com directly, you will get a website that is functional but has issues and looks outdated. I did find “themobicard.com” which may be their website they plan on marketing and working with. Check that one out for info. Disclosure: PSInvestor does not hold a position in the company, nor were we compensated for the writing of this article. 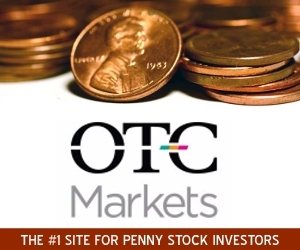 Our goal is to cover the latest hot stocks in the penny stocks sector and welcome companies that wish to utilize our services in order to bring additional exposure to their business. For our full disclaimer, click here.